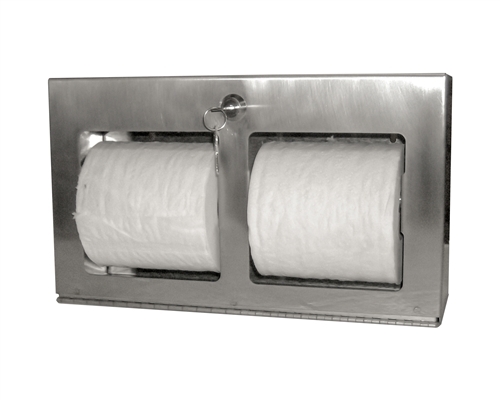 The toilet tissue holder secures two horizontally-oriented toilet paper rolls. 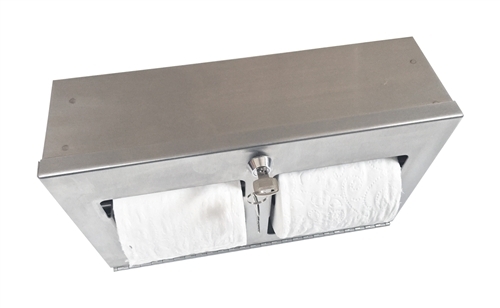 The cabinet is fabricated from 22 gauge, Type 304 series stainless steel and is 13 inches long, 7-5/8 inches high, and 4-1/8 inches deep. The door is also 22 gauge, Type 304 series stainless steel and hinged to the cabinet at the base with a full-length piano hinge. The stainless steel spindles are .75 inches in diameter and are retained in the cabinet when the unit is closed and locked. 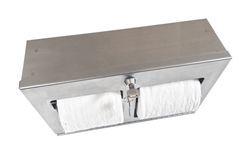 Heavy Duty Towel Bar - 24" Padlock Eye Hasp Set Vandal Resistant Towel Bar Heavy Duty Towel Bar - 30"